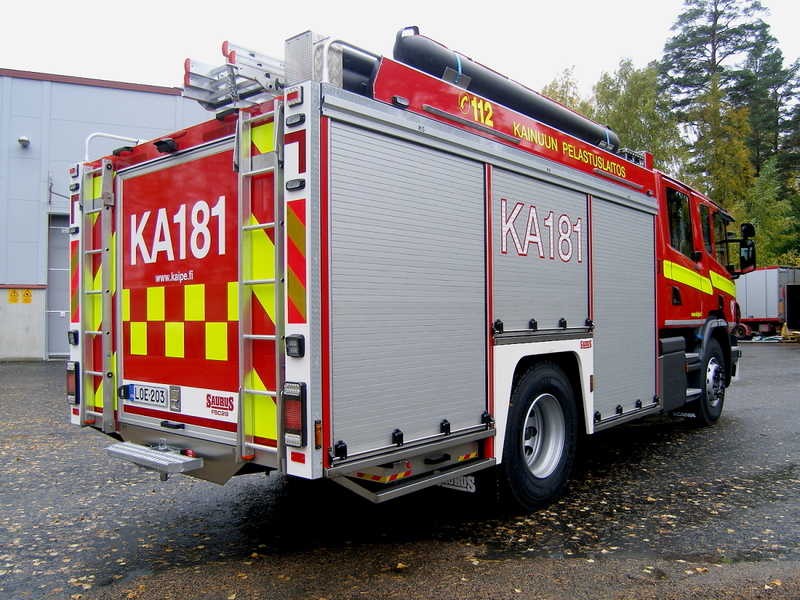 Suomussalmi fire station in Kainuu, Finland got a brand new Saurus FSC29 Fire Engine. 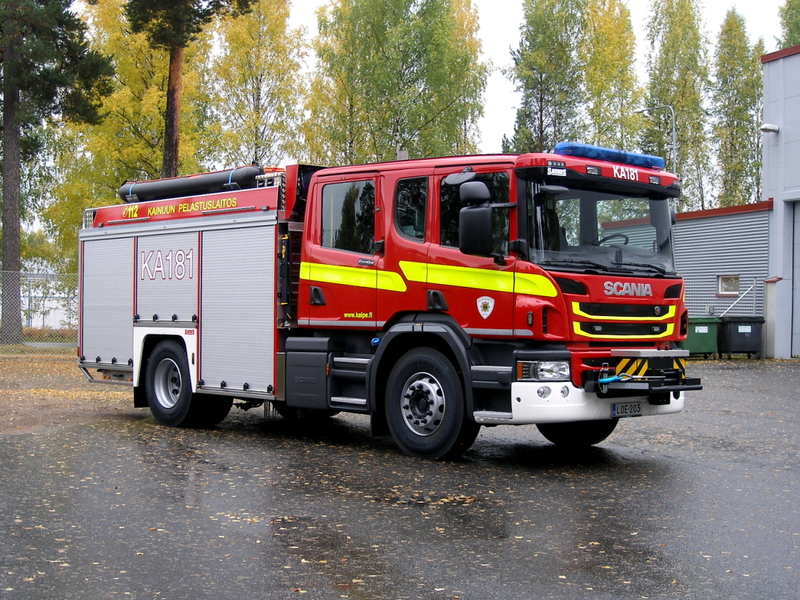 The Fire Engine is built on Scania P360 4x2 chassis and equipped with Opticruise-transmission. 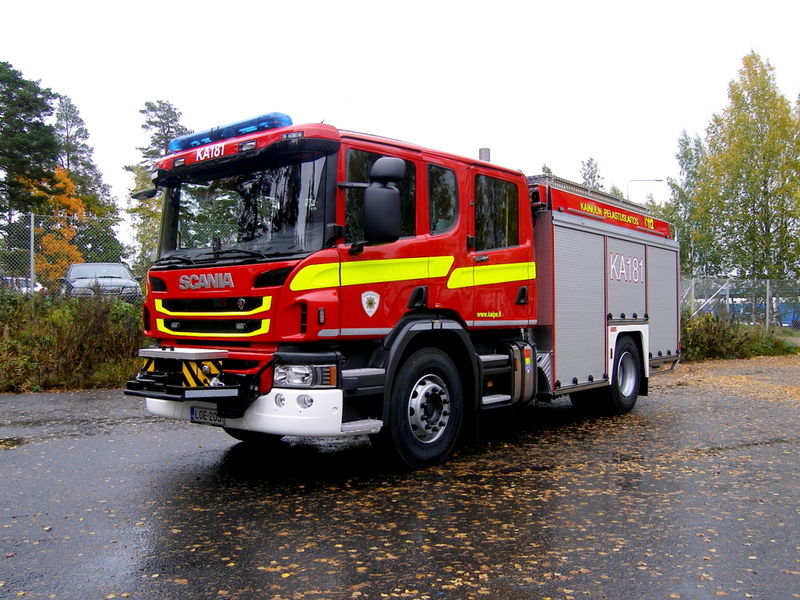 Water capacity of the vehicle is 2900 liters and it's equipped with Esteri D-240 fire pump, 6.9 tn winch and 15 kVA generator.